Dolphins touch your heart strings…. Their presence causes happiness, laughter jollity, love, healing and peace. They tempt us with contact to the essence of life. 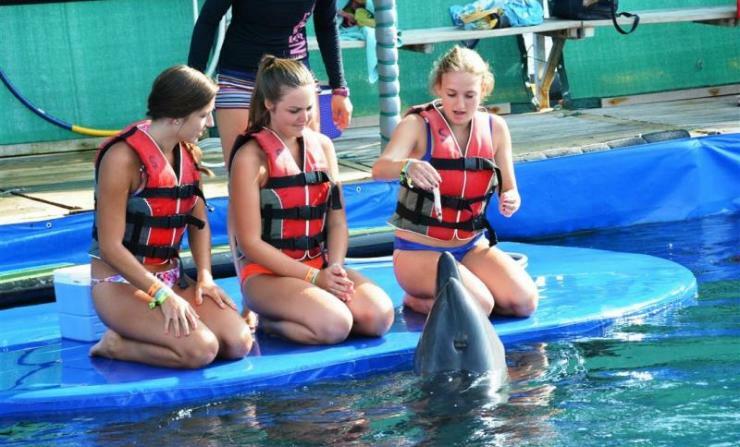 If you have always wanted to chance to touch and feed a dolphin, this is for you! 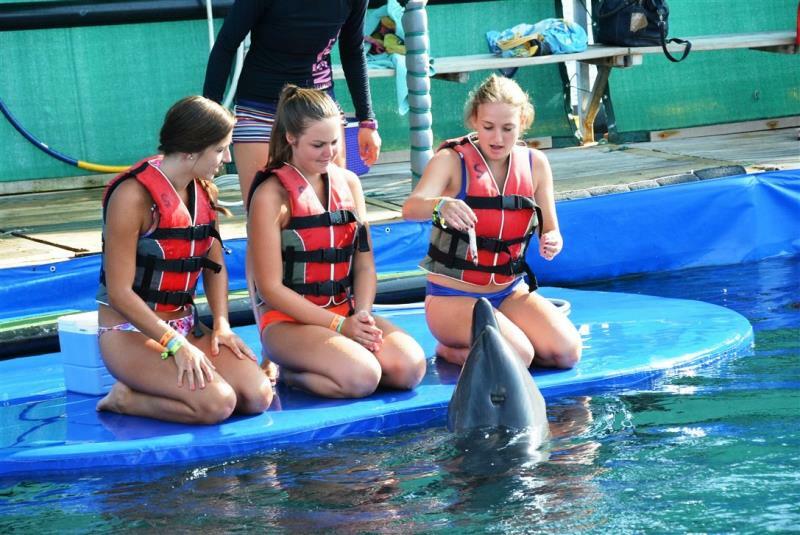 If you have always wanted to chance to touch and feed a dolphin, this is for you! Join the trainer on the platform to shake flippers with your new dolphin friend! Give the dolphin a little backrub to experience what a dolphin feels like while he gets a chance to relax! Dance, play with ring+ball, feed him fish, get a few wet kisses too. Highly recommended for families with children, under 9 years to be accompanied by one paying adult. Meet a dolphin is available at the age of 2 years. Between 2-8 only in accompany with one paying adult. Persons with skin ailments or infections are not allowed to join. Duration 25 min. Meet the dolphins takes place on the platform and includes 20 minutes watch program. The main attractions of Marmaris that you should not miss out on, especially if you are visiting for only a day are the medieval Castle on the hilltop, the Old Town surrounding it with the only traditional houses and buildings left in Marmaris, the Museum with significant archaeological finds from Knidos, Datça and various shipwrecks and the Bazaar, a typical eastern marketplace. When in Marmaris, you should definitely try the local cuisine. Here, typical eastern flavors meet international cuisine in an interesting blend that leaves no one unsatisfied. Also, the Bazaar is a great place for shopping, where you will find anything from fiery spices to traditional artwork or delightful sweets and treats for a bargain! Strolling around the Old Town and the Marmaris promenade is an experience that will only leave you wonderful memories of Marmaris. Mental and physical health of each swimmer is required! The swimming with dolphins for “everyone” takes place in a separate dolphin pool, which is only used for the touristic swimming dolphins. The animals are specially trained to play and be pet by swimmers. Participants of this program should not apply sun block lotions - oils - creams or medical skincare before the dolphin swim. All jewelry such as necklaces, bracelets, rings and earrings must be taken off before the swim. Participants with overly long fingernails will be declined. Special care has to be taken not to touch the eyes or the blow hole of the dolphins. Experience unforgettable harmony with the angels of the ocean and the treat the dolphins with special care and love, as you would your own child. Please notice the transfer service only applies to the daily trips and also keep in mind that the transfer service is not avaliable at Sundays. Please note: Children are considered from the age 6-12 (born year 2006-2011) and infants from 0-5 (born year 2012-2018). For someone traveling alone they must be 18+ years old, otherwise they must be accompanied by an adult. Please NOTE that TAX prices are: 15 EUROS for Adults and Children and 5 EUROS for infants. Paid on DEPARTURE at the port. 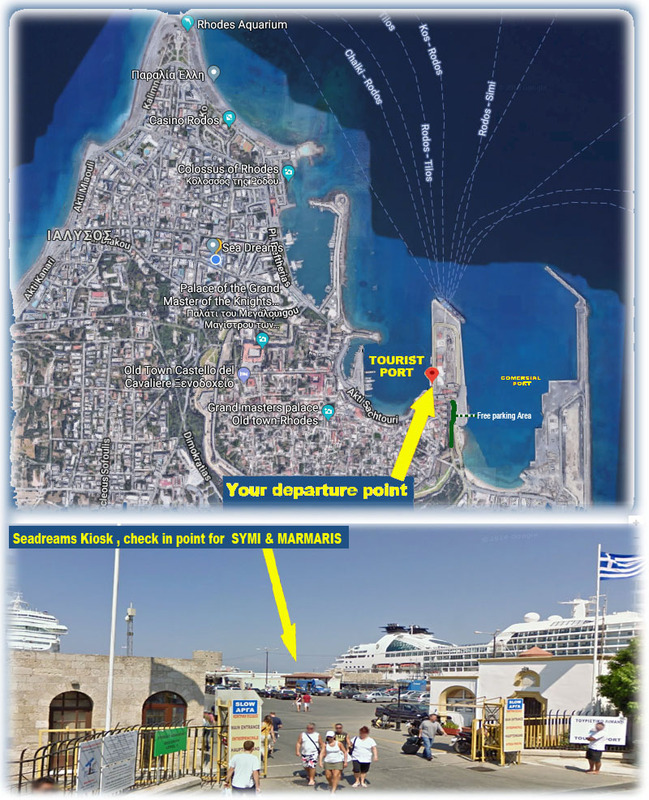 Please notice is very important that transfer from southern Rhodes only exists on Mondays and Thursdays. Passengers under 18 not in possession of identity necessarily have to have a passport and accompanied. Passengers of other nationalities must have a passport and depending of what nationality is, then considered the necessity or not of having visas. If a minor child is traveling with one parent then need affirmation of the second parent by police explicitly states that consent to the journey of the minor. Reservations to be made at least one day before. The vehicle license have to be sent by e-mail or fax. Should have International security –Green Card and indicating Turkey. When the vehicle driver not owner need authorization translated from the Consulate Turkey (t: +30 22410 23362). The passenger have to state the vehicle to custom one hour before the departure.